Seattle Eye M.D.s is now Seattle Eye. Visit us at our new Website. The Optical Shop at Seattle Eye is present to fulfill all of your spectacle and contact lens needs. Knowledgeable, fashion forward and service-oriented staff will assist you in selecting the best eyeglasses for your needs and lifestyle. Seattle Eye Optical Shop provides custom prescription eyeglasses and sunglasses services for handmade, independent, boutique luxury frame collections in addition to select designer eyewear brands such as Dolce & Gabbana, Prada, Tom Ford, Persol, Ray Ban and others. We also specialize include sports vision and prescription sunglasses and are the largest Oakley and Maui Jim dealer in the area. We're constantly purveying new frame collections and strive to find the best quality eyewear at varying price levels. You'll discover that our prices are a great value in each category. Our store is well known for finding solutions to fit most lifestyle needs and face shapes. Whether it's a second pair of prescription sunglasses for bike riding or rock climbing, or a classy, vintage frame for everyday wear, we've got your eyes covered! Narrow or wide face make it challenging to find frames? We are here to help and would love to earn your business as a long term customer. Our mission that is in line with our medical clinic is to provide great service with honesty, integrity and humility. Besides great service, our number one comment is actually the "great" or "fantastic selection" we offer. See this for yourselves and visit us today. We are proud to be the premiere, full-services eyewear store in Downtown Seattle and happy to have won Fourth place in King 5 TV's Evening Magazine 2012 Best of Washington contest in the Best Eyewear category. The adjacent ophthalmology clinic features a complete Contact Lens Center to provide fittings for soft and hard contact lenses, as well as bifocal and colored contact lenses. For lens options, we always offer industry leading technology at competitive prices. Many discount warehouses, chain stores with optical departments or mall stores offer last year or older technology for the same or even greater price. Because of the complexity of today's lenses, there are things that cannot just be done in an hour. Protective and functional lens coats, like anti-reflection, must be applied carefully and this takes time. As such, we take great care with our lab partners to deliver you the best value your dollar can buy. Transitions Vantage is a lens we're excited about right now. The photochromic lens that goes light to dark with UV exposure, has been around for a while and continues to improve annually. Now, they've released a lens that gets more polarized as it darkens. The scientists at Transitions have figured a way to get the molecules that darken to line up in a row, essentially creating a direction filter that behaves like a static, full-time polarized filter you'd find in many sunglasses. The addition glare reduction is perfect for those on the water or anyone desiring glare protection as well as photochromic lenses. If you need light-changing lenses but have been discouraged in the past that they don't activate behind the UV treated car windshield, there's a solution for that as well. Ask our opticians about DriveWear. Prescription Sunglases are our specialty. We are an Authorized dealer for Prescription Oakley, Kaenon Polarized, Maui Jim, Smith, Costa, Rudy Project, Wiley X, Julbo, Revo, Callaway, Gunnar Optiks Digital Performance Eyewear, and Prescription Oakley Eyeglasses and Sunglasses. If you are looking for Prescription Sunglasses in Seattle, chances are you are going to hear about us. We've dispensed thousands of prescription sunglasses since 1999. As one of the first office to offer Prescription Maui Jim Sunglasses in the country, we've dispensed hundreds of jobs to satisfied customers. Now, we're pleased that we can offer MyMaui - an exclusive custom program to mix and match frame and lenses. Not only can you change up lens colors, if you love classic wrap style sunglass but need impact-resistant lenses instead of glass lenses for actions sports, we can do that too! Lastly, we can do custom MauiReaders. Besides the two sport style Maui Jim reading glasses, Makaha and Ho'okipa, we can offer genuine Maui Jim lenses with bifocal segments in a number of select frames. Stop in or call us today and customize your own Maui Jims. Our committment to our customers for delivering high quality, polarized sunglasses is strong. For Maui Jim, we stock every style in every color. Our sunglass area features a Seattle Maui Jim store in store area. Don't waste your time at dealers showing only a dozen frames when you can shop the entire Maui Jim collection here in Downtown Seattle. Many local sporting retailers as well as other doctors refer their prescription sunglass customers to us time and time again. Our daily feedback from satisfied customers is the wide selection of frames. While everyone would claim great service and great selection, don't take our word for it. Stop in and see for yourself. Shop here last. Introducing Leisure Society Eyewear and Sunwear. We are ecstatic to be the EXCLUSIVE retailer for Shane Baum's luxury line, Leisure Society in Seattle. With a vintage, timeless design, utilizing the finest materials and manufacturing processes, Leisure Society glasses are a must-see for any eyewear enthusiast. You simply have to view the finely designed eyewear in person to appreciate the equisite detailing and build-qaulity that defines the Leisure Society eyewear collection. You will know instantly that no expense has been spared in creating the highest quality "heirloom" eyewear collection. Designed by a master optician from San Francisco and handmade in Japan using the top quality zyl and Italian Mazzuchelli acetate, the finest of details define the elegance and design of this collection which is built for narrow PD (pupil distances) faces. The unique hexagonal temple tip cutouts are both fashionable and functional, since you can connect a Dass eyewear chain to this location. More recently this collection is getting a lot of hype because it's worn by Jenny McCarthy on The View. If you twitter or search #jennymccarthyglasses you'll find that it's Alexander Daas. "Dedicated to pure luxury, Barton Perreira's approach to fashion redefines style and elegance." The manufacturing is exquisite and you need to pick up and put a pair on to appreciate the design and craftsmanship. If you can't stop in to check out the optical frames, you can browse a small collection of Barton Perreira Sunglasses over at Seattle Sunglass Co. Looking for that classic or vintage style eyewear? We carry vintage-inspired eyewear like Oliver Peoples and SALT Optics, as well as true classics that have been re-released, like MOSCOT Originals, a fourth generation family owned New York institution since 1915. 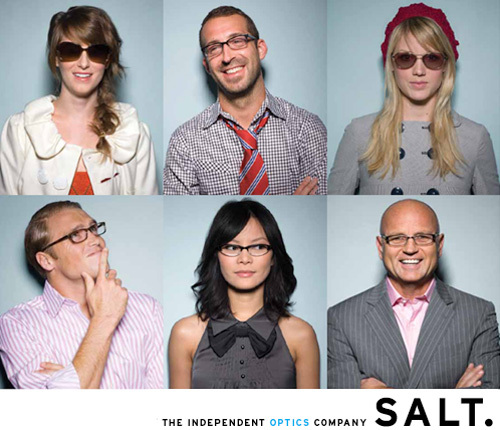 If you are in the market for prescription eyeglasses / eyewear and optical goods in Seattle or elsewhere, give us a try. If you're looking for minimalist, stylish and lightweight frames, you must take a look at Lindberg glasses. Even though we stock a wide selection of Lindberg frames, this collection is highly customizable (shapes, colors) and you can even have your name imprinted on the frame itself! We also feature a wide selection of lightweight, titanium frames from Zero G Eyewear. For unique metals, Kilsgaard offers some rich colors only possible by anodizing its aluminum frame. You have to see these frames in person to appreciate them fully. Looking for hipster eyeglasses? We've got it! Paul Frank Eyeglass frames might just be that bold-look, fun, chunky eye glass frame you are looking for. MOSCOT Eyewear is an even bolder look and we are proud to be Seattle's exclusive optical shop to represent the ORIGINALS COLLECTION that includes such iconic frames like NEBB and LEMTOSH, that latter of which Johnny Depp is frequently photographed with. There's also a new clip-on sunglass, CLIPTOSH, designed expecially for LEMTOSH. The MOSCOT SPIRIT COLLECTION is also now available for a stylish, less bold look. DITA Eyewear is also a recent addition to our independent eyewear collection. Beatifully crafted these fames are distinctive and classy without any brand logos on the temples. 141 Eyewear is designed in the Northwest by a couple from Portland, OR with a strong commitement to giving back to the community. For each frame sold, a pair is donated to someone in need. Unlike big corporations simply giving a dollar for a pair of cheap reading glasses, the folks at 141 are involved with screening and dispending of the actual patients that benfit from their charity. To date, there have been clinics in Taiwan and in the Northwest primarily focusing on children in need of glasses. Grab a pair of fantastic looking and finely constructed eyeglasses and benefit a good cause at the same time. What's New? We're constantly curating new collections and are excited to be offering Garrett Leight Calfornia Optical. Also just in time for summer, Thierry Lasry sunglasses are on the store shelves. This amazing hand-crafted sunglass collection is popular amongst celebrities and the styling and colors must be seen in person to appreciate the attention to detail. There's an all new MYKITA wall displaying this finely crafted, German-made eyewear collection in a fantastic presentation. MYLON, a brand new polyamide base frame material made with SLS (Selective Laser Sintering) is super light-weight and unique. You really need to touch and feel this frame material in person to appreciate the high-technology that goes into its fabrication. Another Late Summer arrival is Bevel Specs. Popular with eyewear afficianados and celebrities, you will spot these beautifully crafted frames on folks like Matt Damon. Value-priced, in-house frames. We've created our own frame collection to bundle with lenses at amazing prices. Why go online when you canshop local and be fit with a frame that is of much better quality. Complete frames, prescription lenses, and case start from $99. Seattle Eye has earned Oakley Premium Dealer status for sunglasses and Oakley Rx (Prescription) and is an Oakley VIP Dealer (one of few in the country). We've sold thousands of Oakley products over the last ten years and have been the go-to Seattle Oakley Store for many years. We feature the latest styles and largest selection of Oakley premiere eyewear in the region. We carry more frames that an Oakley O Store combined with our expertise and ability to order genuine prescription Oakley lenses, you should look no further on where to go for your Oakley eyewear in Seattle. There's also an everyday selection of Oakley Asian Fit Eyewear to fit those with shallow nose bridges. Even goggles are available in this fit. So for anyone who thought they couldn't wear Oakley becuase the frames were too curved or sat on their cheeks, think again. We also offer TC Charton, a collection that is Asian Fit specific. Don't let the name fool you though. Even certain individuals of Scandanavian, Hispanic and other descent also have high cheek bones and a low nose bridge. We have a solution for you. The Optical Shop at Seattle Eye boasts the area's largest and most complete selection of Oakley Eyeglasses and Sunglasses in Washington State. Prescription lenses utilizing Oakley True Digital technology for Oakley Prescription Glasses is now available. Our optical shop doesn't have it's own e-commerce site, but you can shop Oakley Sunglasses or Prescription Frames on seattlesunglass.com, the online store for our independent and locally owned sunglass boutique, Seattle Sunglass Co. Need a price quote? Call us at 206 267-9500. Glasses cases, cleaning cloths, chains, and Neoptx Optx 20/20 press on bifocals for sunglasses. Callaway Golf Scorecard Readers Folding Reading Glasses are a great portable solution for dealing with presbyopia while at home, at work, on the course or on the go! Gunnar Optiks Digital Performance Eyewear are the best solutions for preventing Computer Vision Syndrome and reducing eye strain with prolonged computer use. Gunnar Digital Performance Eyewear is ideal for anyone spending long periods of time each day at the computer. They are ideal for work, home, computer gamers, and even casino gmablers playing video slot machines for hours and hours. Seattle Eye M.D.s, 'S' Eye Logo, The Future of Eyewear and Eyecare are trademarks of Seattle Eye M.D.s. All Rights Reserved.